There are a lot of fashion moves that can warrant you an unofficial fashion award. And when Jaden Smith wore a dress to Coachella, he definitely won one. 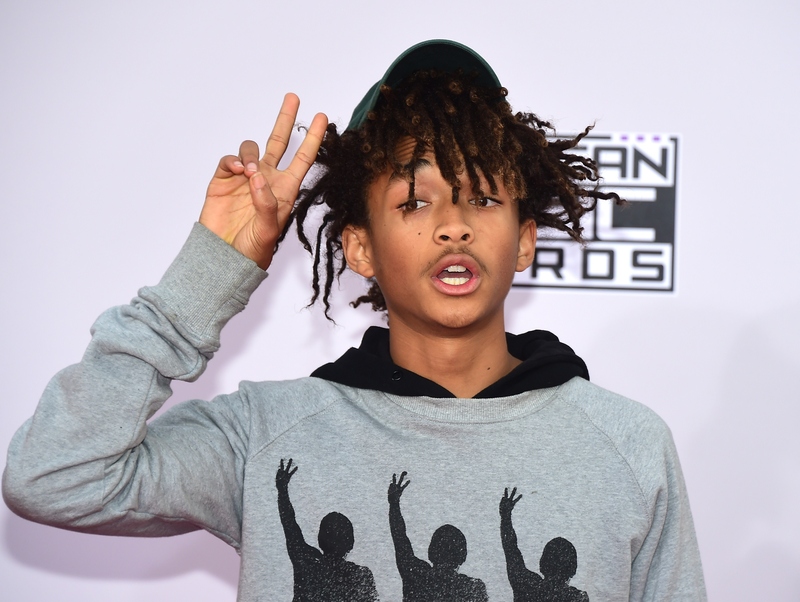 Although this isn't necessarily the first time Smith has donned a dress, it totally re-establishes the fact that a) Jaden has one of the most unique fashion senses out there and b) clothes are just clothes (so everyone can just calm down, OK?). We all know that Smith is a cool kid out there in Hollywood, so it's no surprise that he's one of the first to try something so androgynous. On his way to the first day of Coachella, Smith was spotted in a long-sleeved black dress over denim cutoffs. He styled the dress with a crocheted tank top, cheetah print socks, and black Nikes. And in my opinion, this is the perfect outfit for a day at a music festival; it's not too bohemian, while still being comfortable. But the Internet is freaking out because yes, he's a boy and yes, he's wearing a dress. This is definitely not a look we have really seen, which to me, is even more of a reason to love it. Smith seems like the type of person who wears what speaks to him. I mean, isn't that the reason we love people like Lady Gaga, and anyone else who dresses outside the box? I'm happy that Smith (and his sister Willow) are bold enough to push the boundaries of fashion, instead of just recreating the same styles as everyone else. Hopefully this will be the beginning of a change in the way gender norms and fashion connect.